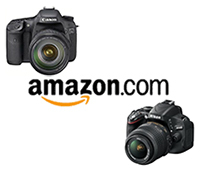 You are currently browsing the archive for the dSLR Accessories category. Now that you’ve finally decided on a dSLR and chosen the Nikon D5100 you will want to get some basic, essential accessories. While there are countless accessories available that may look appealing or seem necessary, I suggest you first gain some experience with your basic equipment, and then discover through use which additional items you truly want or really need. No add-on, whether an elaborate flash modifier or color balance correction tool, will instantly improve your images so concentrate instead on your image making! 1. SanDisk Extreme 8GB Memory Card – You are going to need a high quality, high speed memory card to save all those images and capture those videos. Go with the best and don’t risk corruption and errors – a SanDisk Extreme. Perhaps a couple 8GB cards or 16GB cards. 2. Nikon EN-EL14 Rechargable Battery: It is always good to have an extra battery or two, especially when traveling or when photographing an event all day. Go with the official Nikon brand and avoid battery communication and charging issues. If you are a fan of the optional battery back / vertical grip, there is a third-party offering for the D5100, the Neewer Pro Battery Grip for Nikon D5100. Though Nikon did not design their own D5100 battery grip, this third-party option fills the gap, and accepts 2 EN-EL 14 batteries. The grip may make the camera easier to handle for those with larger hands, when working with a large lens, or if often working in portrait orientation. 3. Nikon D5100 Experience e-book – You will want to begin to learn to use your camera, go beyond Auto, and start to use the advanced functions and settings of your sophisticated D5100, so be sure to check out my e book, Nikon D5100 Experience. This guide will help you to take control of your camera so that you can consistently take better images – the images you wish to capture. You’ve invested in an advanced camera, now invest the time to learn how to use it to its full potential! There are also Kindle, Nook, and iPad versions of the e-book available here. 4. Black Rapid RS7 Strap – This sling-style camera strap provides a more comfortable and practical – and somewhat more discreet – way to carry around your camera, especially if you have a larger lens on it. The RS-7 version has a nice curved shoulder strap, the RS-4 is not curved at the shoulder but does have a handy little pocket for memory cards, and the RS-W1 R-Strap is designed for women. 6. LensPEN Lens Cleaning System – Clean those fingerprints, smudges, and mysterious spots off your camera lens (filter) safely and quickly with the LensPEN. Brush off the loose spots with the brush end, “charge” the tip with a twist of the cap, then clean by “drawing” in a circular motion. Read the manufacturer’s instruction for complete details. 7. Nikon SB-900, SB-800, SB-700, or SB-600 Speedlight Flashes: Use one of these external flashes for greatly increased flash power and control compared to the built-in flash. They also have adjustable and rotating heads so that you can use indirect and bounce flash, and all of them can be used as remote flashes controlled by the built-in flash. With the exception of the SB-600 all can be used as commanders to trigger remote flashes. The SB-900 Speedlight or the new SB-910 Speedlight is recommended if you need maximum flash power for events and weddings, etc. Otherwise the smaller SB-700 Speedlight is best for general use. 8. B+W Brand UV Filter – Protect your lenses from dust, scratches, and impact damage with a high-quality, multi-coated B+W brand UV filter. It typically shouldn’t affect your image quality due to its high quality glass and coatings, and it just might save you from a $200 repair. Leave one on each of your lenses at all times, unless you are using another filter like the circular polarizer. Be sure to get the right size filter for your lens. 8a. B+W Brand Circular Polarizer Filter – Use this high-quality, multi-coated filter to dramatically darken skies, increase contrast, and cut through reflections. Turn the rotating lens to adjust the amount of darkening or reflection as you place the sun to your left or right. 9. Nikon 18-200mm f/3.5-5.6G AF-S ED VR II Lens – After you’ve realized the limitations of the kit lens, especially in that area of focal range, pair your D5100 with this high quality all-purpose “walk-around” lens, great for everyday and travel use. It provides the full focal range from wide angle (for capturing the entire scene) to telephoto (for zooming in on details and faces), and delivers excellent image quality, color, and contrast, as well as Vibration Reduction (image stabilization) to prevent blur from camera movement. 9a. HB-35 Lens Hood – And you will want the optional bayonet lens hood for the 18-200mm lens, to shade the lens from unwanted glare and flare and protect it from bumps and bangs. 10. M Rock Holster Bag – Carry and protect your camera and walk-around lens in a holster style bag from M Rock. I used the Yellowstone style extensively in my travels throughout South America, and I love its durability and extra little features like a built-in rain cover, micro-fiber cleaning cloth, zippered interior pocket, adjustable interior, and extra strap. Be sure to get the model that fits your body and lens. Understanding Exposure by Bryan Peterson – If you don’t yet understand the relationship between aperture, shutter speed, and ISO, read this book immediately. This knowledge is essential to understanding and using your powerful dSLR to its full potential. Nikon ML-L3 Wireless Remote or MC-DC2 Remote Release Cord: These remotes will allow you to trigger the shutter of the camera remotely, thus allowing either self-portraits or the ability to release the shutter without pressing the Shutter-Release Button thus preventing possible camera shake. When one is getting more and more into photography, learning about different techniques and equipment, they may start to think – or get the impression from reading various books and blogs – that there is the “right way” or the right piece of equipment to use to achieve the best images. For example there are dozens of flash modifiers and diffusers available, and you might start to think that one of them works the best, one of them is the one that the pros use, if you could only find the right information and figure out which one it is. But the truth is, when it comes to photography, there is sometimes no one right way to do something. You just have to look at all the options, experiment, analyze how you work and your resulting images, and then figure out what is going to work best for you. I recently got sucked into a discussion on a forum about whether or not to use a UV protective filter on your lenses. I contend that it is always a good idea to use one. But that is because I feel it is a wise thing to do for the way I work and photograph. It may not be necessary for others who work differently. I work out in the field traveling, or out-and-about in a city. I take off my lens cap when I start working for the day and put it aside until the end of the day. My camera is slung over my shoulder and is exposed to being banged around, touched by kid’s fingers, and to dust and mystery spots that need to be quickly cleaned off. I don’t mind quickly wiping some dust off the front of my filter with my shirt, a blast of air with the Rocket Blower, or a quick brush and clean with the LensPen, but I would not want to do that so quickly and often with the actual lens and risk scratching it. I feel that replacing a $100 filter is a better idea than risking a several hundred dollar repair with 4 weeks down time on a lens. Other people walk around, carefully carrying their camera in a case between shots, or replacing the lens cap after each shot or between situations. Or perhaps they take out their camera, put it on a tripod, and take landscape shots. They may not need a protective filter in those uses, and may not wish to risk any minor degradation in image quality. (If you get a coated or multi-coated UV filter like a B+W brand one, your loss of image quality will be less-than-negligible. If you use a cheaper Tiffen filter, you risk having some issues.) If the risk of damage to their lens is small, then it works for them not to use a filter. However, I was in a camera store yesterday, and a woman was replacing her UV filter because her camera dropped and the filter was shattered. The filter’s ring was dented, but there was no damage to the lens at all. She did not intend to drop her camera – that was not part of the way she worked – but it happened. A few dollars for a new filter saved her hundreds of dollars in repairs and the loss of her lens over the holidays. Before you invest in various accessories that sound like they might improve your images or assist you in how you work, put some thought into it first. If they are a hassle to use or don’t fit into your process, you may end up putting them aside and never really using them. Analyze your needs first and then find a product that matches them. You may read about someone touting a white balance device that seems like it almost magically improves all their photos. You want better photos, so why not give it a try? But have you really come across the need for it? Are you prepared to custom set your white balance every time you enter a new lighting situation? Or do you typically work outside in daylight or inside in standard incandescent light and really don’t need to set a custom white balance at all? So, all that being said, there are several accessories I find helpful, or even essential – at least for the way I work! I talk about them in this previous post, Equipment for Travel (and Everyday) Photography.